Mark H. Friedman has 25 years of management consultant experience crafting high-end, multi-million-dollar turnaround strategies for large companies. But he says his decision to buy into the home healthcare franchise Senior Helpers has been his best investment yet. 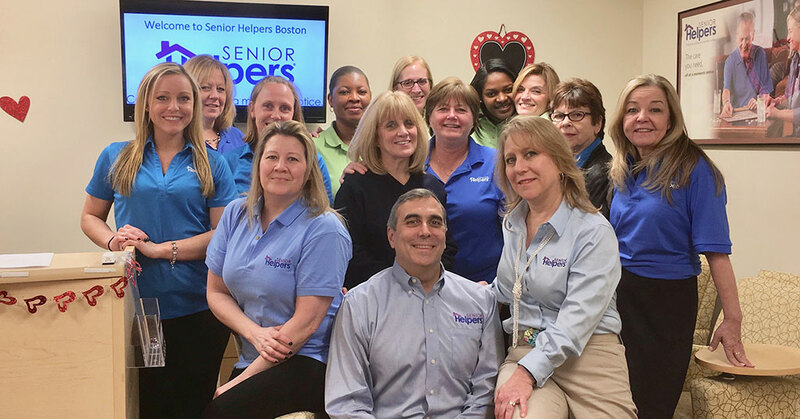 "I realized the dream of no longer being a consultant--because it's a tough lifestyle--and doing something that I really loved, which was making a material difference in people's lives, so they can age in place," says Friedman, owner of Senior Helpers Boston and Senior Helpers South Shore in Massachusetts, and the 2017 MVP recipient of the Spirit of Franchising Award for demonstrating exceptional performance and providing invaluable community aid. In 2008, Friedman was busy as vice president and head of retail for Adidas North America when he agreed to back someone as a silent partner in a Senior Helpers franchise. When he left the global sports brand a year later to start his own consulting firm, he stepped in to more quickly realize his investment return, ultimately growing the business 420 percent until 2013, when the decision was made to split the agency and part ways. Friedman officially retired from consulting in 2016 to focus solely on being a multi-unit franchisee. "I have always had an impatience for the status quo, even if it's working," he says. "I always looked at this business as if I were a client myself. What could be different? What could be better?" he says. "You can't worry about today. My focus has to be what is going to happen in 12, 24, or 36 months, and then build the operation behind me, to manage today with my guidance, so I can focus on what we need to worry about next." Friedman doesn't have to look far to cite the motivation behind his purpose to "do what you love and take care of those close to you." His formative influences include a personal connection to United Airlines Flight 175, which took off from Boston and was flown into the South Tower of the World Trade Center on 9/11. "I was ticketed and put two people on the plane," he says. "It left an indelible mark." Friedman is passionate about helping his team manage care by employing skilled eyes on every case. In August, he plans to open his own school for home health aide training and "cherry pick the graduates." "Massachusetts is unlicensed, so on a good day it is chaos," he says. "I believe that, regardless of whether there is a license, I set the bar as to how my agency operates, above any level licensing you could ever consider throwing at me." Friedman says he is very much humbled to receive the Spirit of Franchising Award. 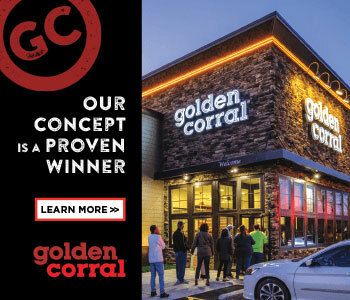 "I was surprised when they told me, because I can be a very difficult franchisee because I'm not willing to just accept the company plan," says Friedman, who credits his franchisor for being "willing to put up with my challenge to keep the bar high to deliver excellence as a whole." Friedman serves on the brand's National Advisory Council and has an open-door policy for prospective and fellow franchisees. "What makes franchising work is when the franchisees invest back into the system," he says. "If all the individual franchisees stop giving back into the system, the opportunities stagnate. Part of the value of a franchise is that we have 200 franchisees, representing 300 territories in the United States. Building on each other's successes is what the royalties are all about. It is investing into the collective, so we all get better faster and we all refine things faster and make fewer mistakes--especially, in this business, when we are engaged in people's lives. If we make a mistake and 199 other people don't make that same mistake it can make a big difference." 9/11/01. Watching my father, grandfather, and uncle in their businesses for many years. I'm a fifth-generation retailer, which goes back to a pushcart. Father and husband (almost 38 years); founding president of Congregation Shirat Hayam of Swampscott, Mass. ; 25-plus years of successful entrepreneurship in management consulting in North America, South America, and Europe. The Challenger Sale: Taking Control of the Customer Conversation by Matthew Dixon and Brent Adamson, and The White Ninja by Eric Van Lustbader. Enjoy life, it's not a dress rehearsal. Enabling those who work with and for me to succeed and reach their potential. Earning the respect and right to return the next day to do it again. Always meet or surpass your commitments. Solve problems, don't contribute to them. Leadership is the ability to inspire others to follow you. Everything you do reflects on who you are as a person. Never ask an employee to do something you are not willing, or shown you are willing, to do. It comes from my definition of leadership. Leadership is the ability to inspire other people to follow you, and that is all it ever is. You have to truly believe the direction you are going, and you have to be honest with people about what it means. You have to inspire others to follow you. If not, you are not a leader; you are just one person walking a path. My greatest challenge is to challenge myself that I always believe in that direction, so that I'm not misleading other people and that I'm actively leading the people who choose to follow me in the direction we want to go. So the greatest challenge is internal honesty about what you are doing, that you are also asking others to do. It is not a challenge because it is hard--you have to challenge yourself to do that every day. Aggressive (from a business perspective), compassionate, and fair. This is simple. Treat others as you expect to be treated. It's about quality, not size. I will cut growth plans to keep quality high and be the place my employees want to work. To be the most respected agency in my market. 10 years? Retired. We have great benefits, education opportunities, and feel strongly about promoting from within. 2024 plan: Keep ownership, but provide incentives for the leadership team. Sell internally. Sell and exit. I have invested myself in the success of both my agency (franchise) and that of the franchise system. I helped re-form our FAC and have held the national chair role for six years. I have led the FAC service and offer committee for four of those years, a sales process initiative, and our technology committee as well. I am an enthusiastic supporter of our brand and consider it an honor to speak to prospective franchisees, and I have an open door if they want to make a due diligence call. I think it is my strong belief that each franchisee has a responsibility to not just take from the system but to give back that earns the support of the franchisor and my peers. My business extends that philosophy to the communities we serve. We sponsor key local activities and local aspects of national elder care needs (Alzheimer's, Parkinson's, healthy aging initiatives, etc.). We provide extensive professional education for our communities and others in healthcare as well as family education on navigating elder care decisions, Alzheimer's, Parkinson's, recovery risk management, and other topics. We consistently seek to be a top performer both in results and in methods. We strive to promote the highest reasonable standard at all times and share our approach with our peers in the system. Focus on institutional contracts. Development and pilot of our soon to be national Recovery Care offering. Commitment to doing it right--no exception. Investment in people to get it right. Willingness to be wrong, learn, and adjust. I am passionate about being engaged in our communities. Professionally, we are active in three Chambers of Commerce in our served markets. We serve on Alzheimer's disease and Parkinson's advisory committees. We are a resource for numerous councils on aging and first responders, as they too serve our elder population. Personally, I have always been active communally. I was the founding president of my synagogue, which was formed from the consolidation of two synagogues of doubtful longevity. That was a six-year process and we are now over 10 years old. I have also sat on community nonprofit boards. We have leaders at all levels of my company! Lead as you would want to be led. Listen first. Always have a measured response. Don't be afraid to lead (make decisions), but enable your team to get there. Enable others to succeed.